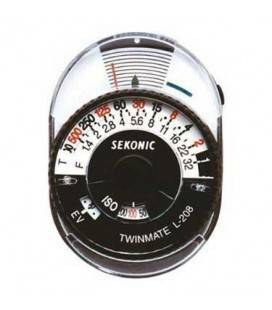 The pocket-sized Sekonic L-308S FLASHMATE is the smallest and lightest digital light meter in the Sekonic line-up. 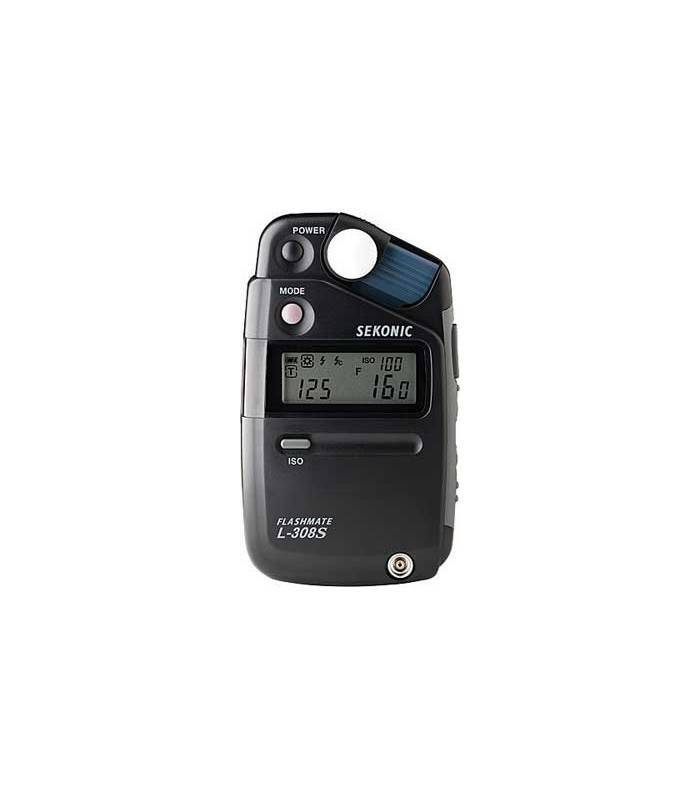 Designed to read ambient or flash exposures in either reflected or incident modes, the L-308S delivers accurate exposure readings in full, half, or third-stop increments to mirror the exposure displays of most popular cameras. When set to full-stop mode, exposures are displayed in tenth-stop increments with a repeat accuracy of +/- 0.1 EV. Reflected readings capture at a light receiving angle of about 40-degrees, or slightly wider than the viewing field of a normal lens. For incident readings, a small, built-in Lumisphere slides over the silicon diode sensor. 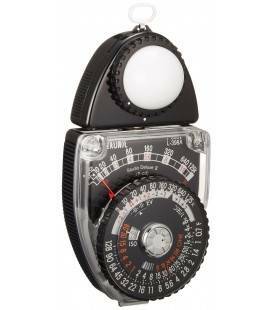 For flat-field incident readings, a Lumidisc (included) snaps over the sensor for metering flat artwork or measuring contrast and/or exposure ratios within a scene. Electronic flash exposures can be taken with or without a PC cord. 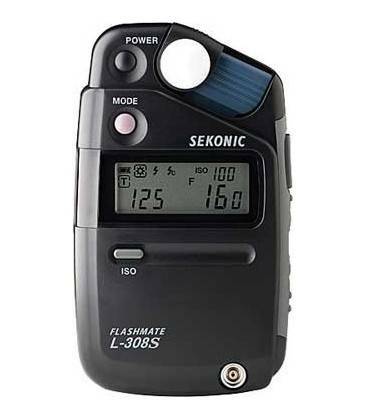 Exposure data is displayed on the LCD screen, which has been redesigned to emulate the look and feel of the LCD on the 'bigger-brother' Sekonic L-358 flash meter. Exposure data and related information is displayed using large type and easy-to-read icons. At ISO 100 ambient light can be read over an EV range of 0 to 19.9 in both incident and reflected mode. Flash exposures are displayed from f/1.4 to f/90.9 (or about f/124). ISO sensitivity is set from 3 to 8000 in third-stop increments. 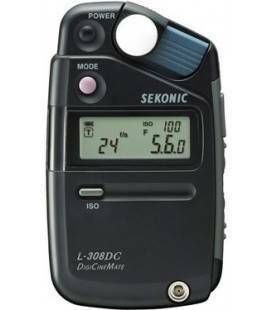 For cinema applications, the L-308S can be programmed to display exposure times from 8 to 128 frames-per-second. 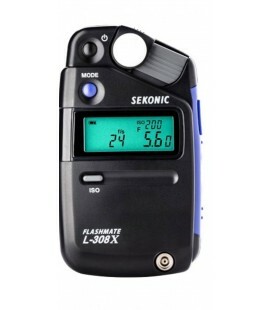 The Sekonic L-308S FLASHMATE comes with a Lumidisc (with pouch), a soft case, strap, synchro terminal cap and a AA battery .